I bought that antho. The others, I *wish* I owned. With limited shelf space and e-books I don't buy many "real" books anymore. The S&S stuff is my only real indulgence and I try to only buy used stuff. But I'm still not paying fifty bucks for Bard V.
In so far as I'm aware, Bard V was printed in extremely low numbers.. and possibly only in Australia and maybe the UK... since it's always only available from those two places. It's generally a bit cheaper if you can find a copy from Australia.. but I've had to just give up the dream of getting it.. barring a stroke of luck and it getting a re-release. 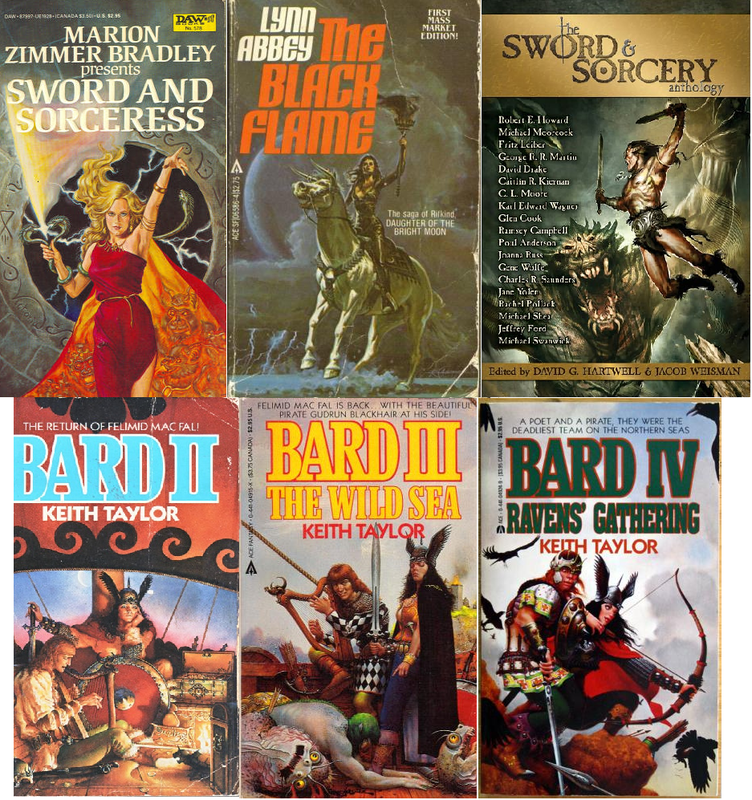 Loved the first 2 Bard books, looking forward to the next 2, as I hear they get even better, and darker, in nature. Keith Taylor is truely an under-appreciated talent, and he deserves better. @Lagormorph - thanx, I wondered if something like that might be the reason. I hope they do get a reprint or e-version. @darkman - I have to shamefully admit it's a book my dad picked up used over 20 years ago and it's been sitting in a box since he read it. Only seeing Taylor's name pop up as I've been doing research in the past year on places like the old Cimmerian site made me dig it out. I've been hooked on s-&-s/action only in the past decade or so, discovering all this stuff well past my teen years. I've been gathering many of these same books, too. I've been reading it for thirty-five years and there's still so much old stuff to discover. Now people are writing new stuff that I've got to sort thru. It's too much! For which I am so grateful. I envy you that first encounter with Kane. When I read "Reflections for the Winter of My Soul" I didn't know what had hit me. Little S&S has ever walloped me as hard. Well, i'm sorry for my poor english, but i think u will undertand. I'm from Brazil, and i also have a blog about Fantasy. Like ur blog. 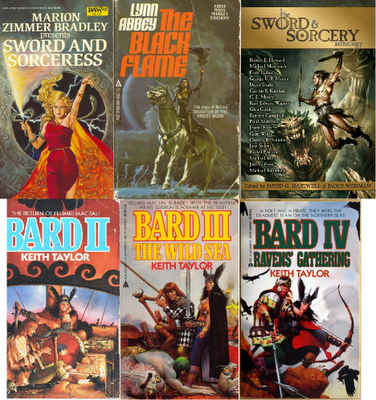 In my linguage, there is no blog or website, or nothing about Fantasy, or Sword and Sorcery. I really like ur job here, it's impressive, and i probably will read everything arround here to get some experience. I know that u will not understand anything (ok, there is the google tradutor for everybody [and the language speak in Brazil is Brazilian Portuguese]), but if want to look at my blog, i'll be honnor. Your opinion will be very important to me. Congratulations for ur blog, it's really god! Thank you very much. I like the look of Terra das Fabulas. I like the bright color palette and the layout. I've put this site together like a man playing a piano or typing with two fingers and it shows. I'm surprised in a country as big as Brazil there aren't more fantasy sites. Good luck with your undertaking.